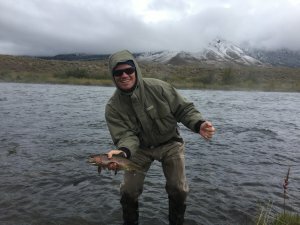 For after the end of the summer rush, we scheduled a fly fishing trip to Montana. Where to our surprise it snowed heavily for two of the four days and kept the temperatures in the 30s! With freezing hands, we still had quite an outing catching rainbow, brown and cutthroat trout. Had to put our waders and boots inside so they didn’t freeze at night outside. Never been prouder over the fish we battled for! 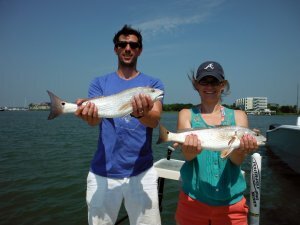 With a perfect set of conditions in place, anglers can be confident that inshore fishing will really pick up in September. The combination of lots of bait, cooler water temperatures and less traffic on the water should make for great fishing. While most people will turn their focus to hunting and football, fishermen who save some time for wetting a line will be well rewarded. As usual during this time of year, redfish will begin to increasingly take artificial baits. Plastic lures that mimic the minnows in our waters are very effective. Zman’s 3 ¾” streakz in smokey shad is an excellent choice. I pair this lure with a 1/8oz. jighead but conditions may call for a heavier weight. Make sure to vary your rate of retrieve as you work a spot. Sometimes just slowing down or speeding up the pace of the lure can make the bite come to life. We continue to find our best trout bite by fishing topwater lures first thing in the morning when temperatures are cooler. Our perennial favorite lure remains the Super Spook Jr. with a black head/chartreuse body. Something about the contrast in colors seems to really get the trout fired up. As the topwater bite fades with the rising sun, try switching over to MirrOLure suspended lures and you can usually find more eager fish. 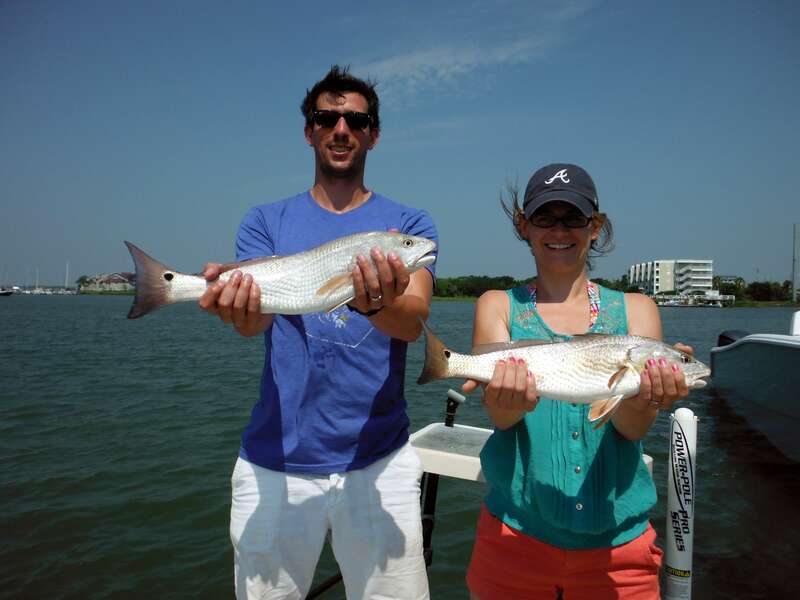 It’s not uncommon to catch bull redfish (36” inches plus) during the summer time at the jetties or at nearshore reefs. During the Fall, these same fish come increasingly more into the harbor and inlets as they track down large baitfish. Rods rigged for these fish will have heavy test braided line connected to a 50-60lb. leader and 7/0 circle hooks. Fresh chunks of mullet, menhaden or smaller fish are effective baits. Target spots where there are marked changes in depth and wait for the massive strikes!